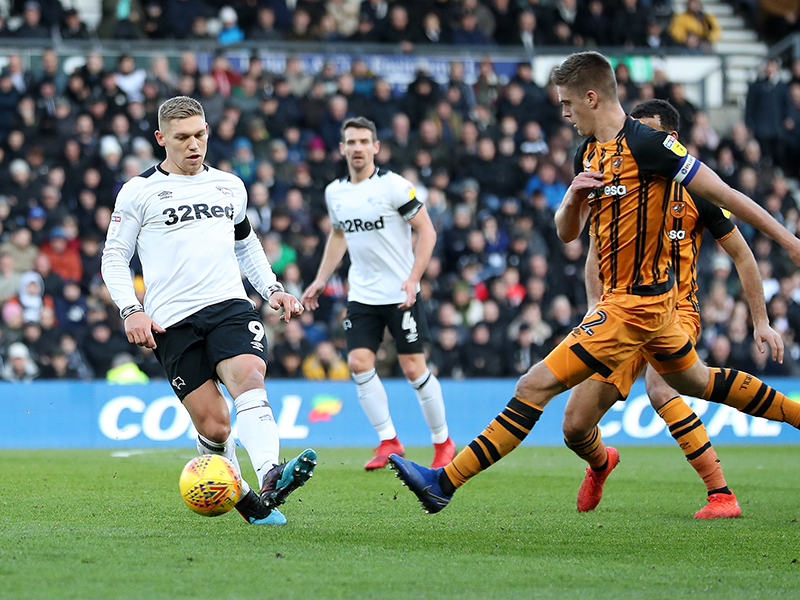 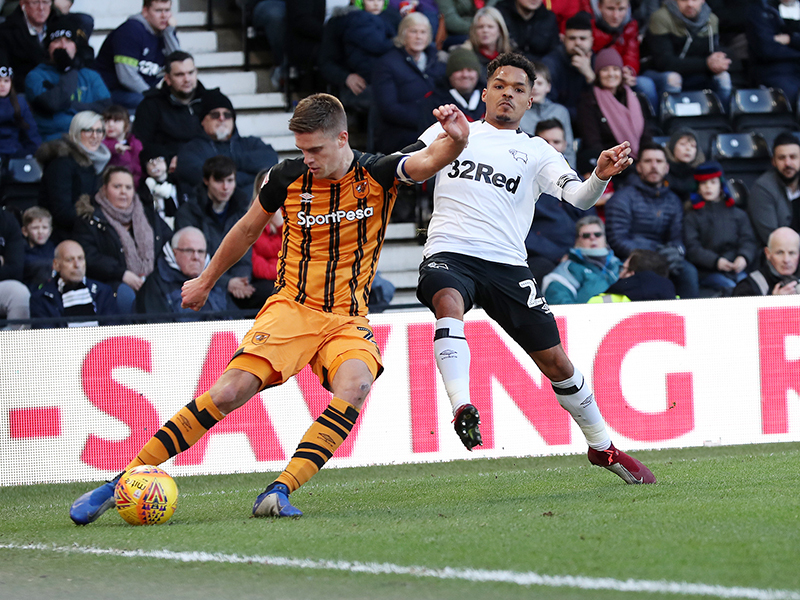 Martyn Waghorn fired Derby County to victory scoring both goals in a 2-0 victory over Hull City at Pride Park Stadium. 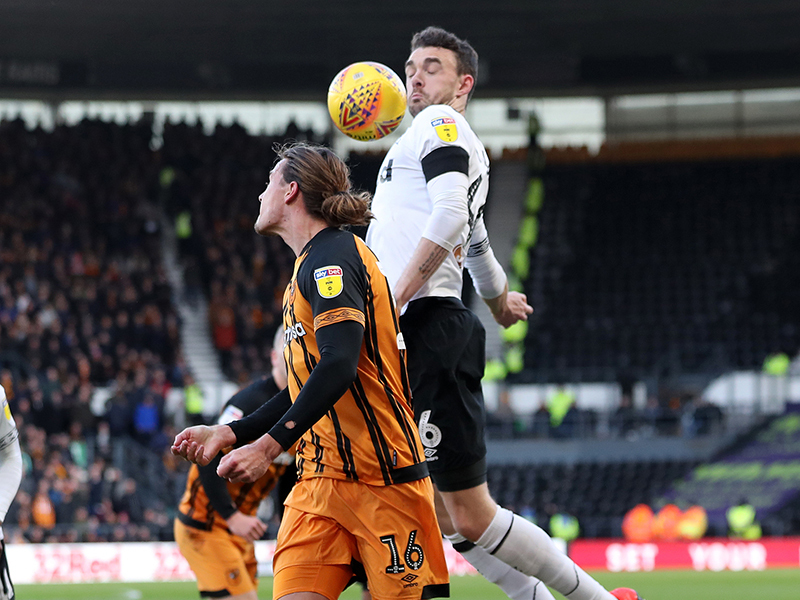 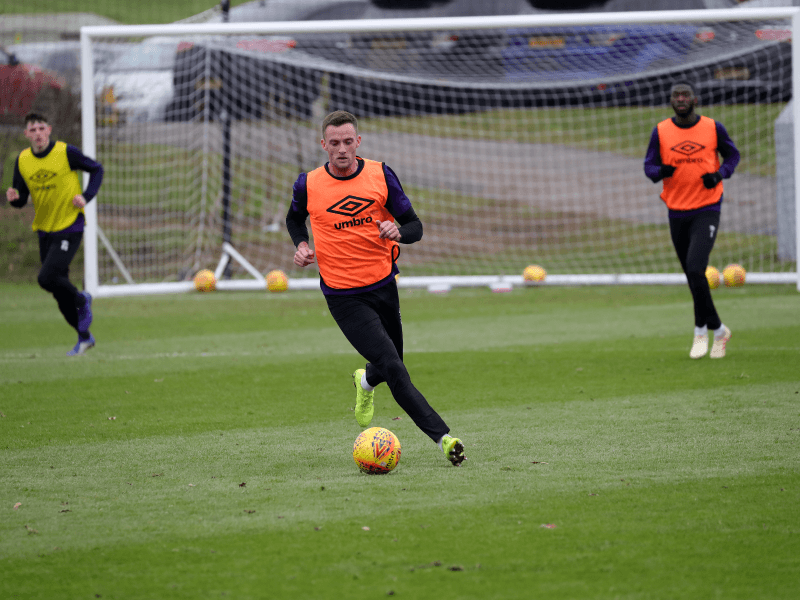 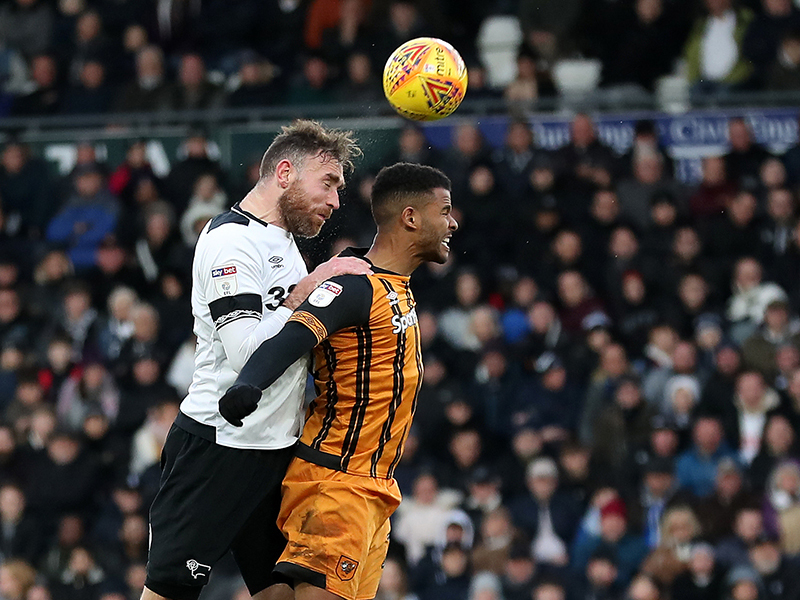 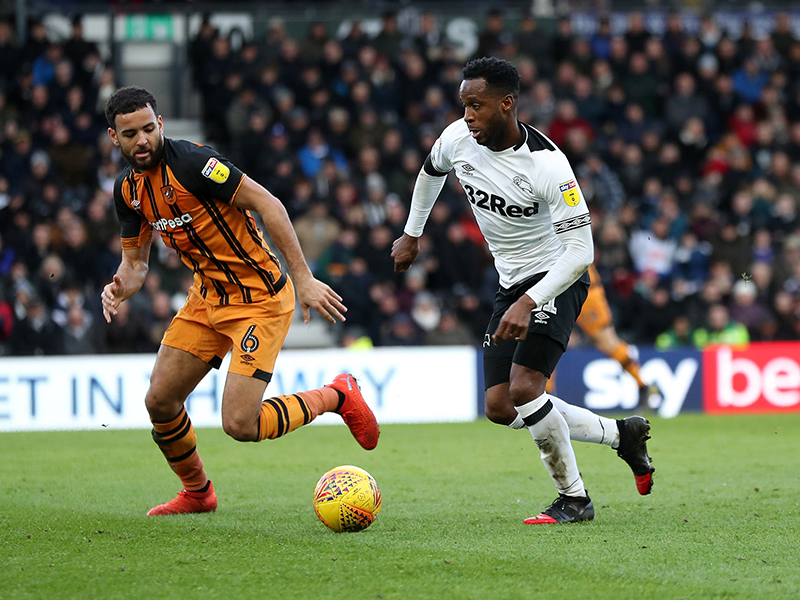 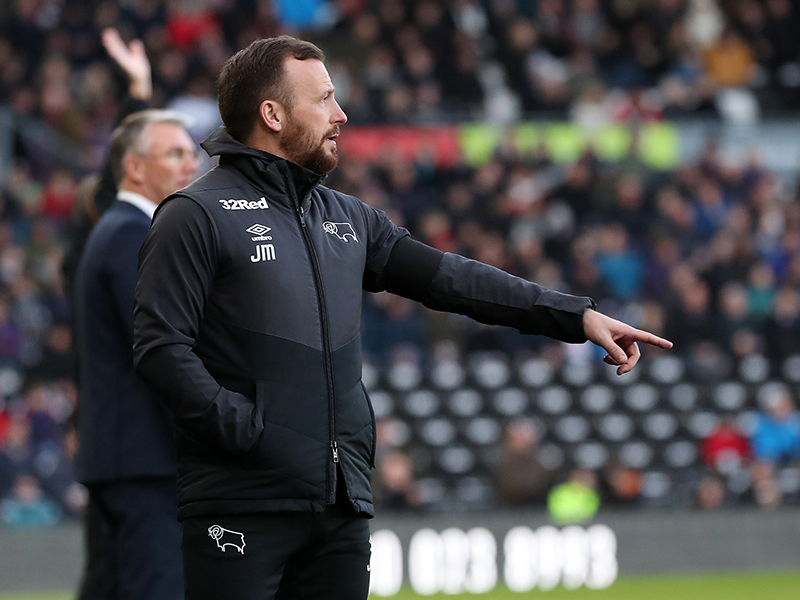 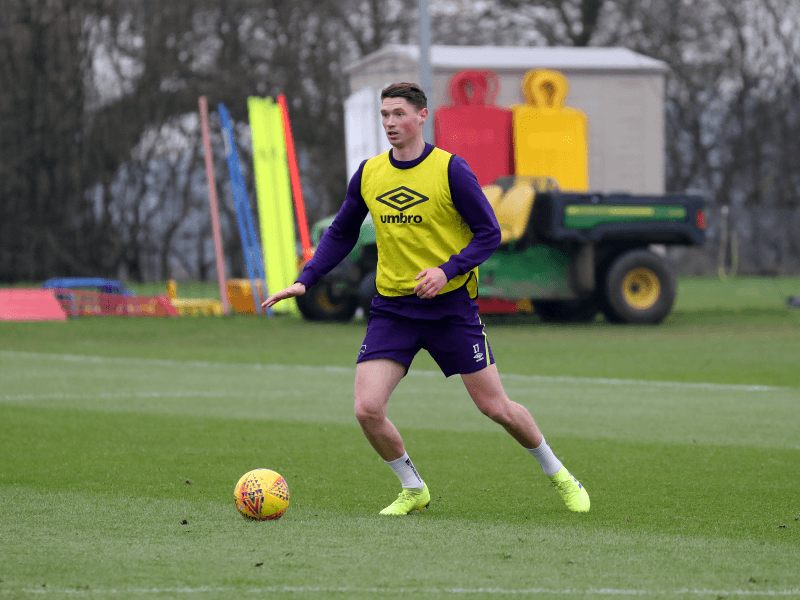 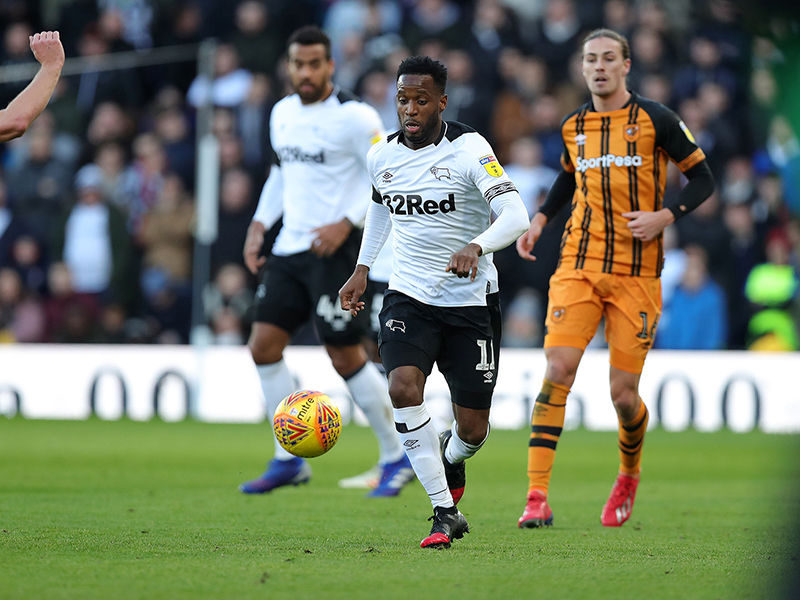 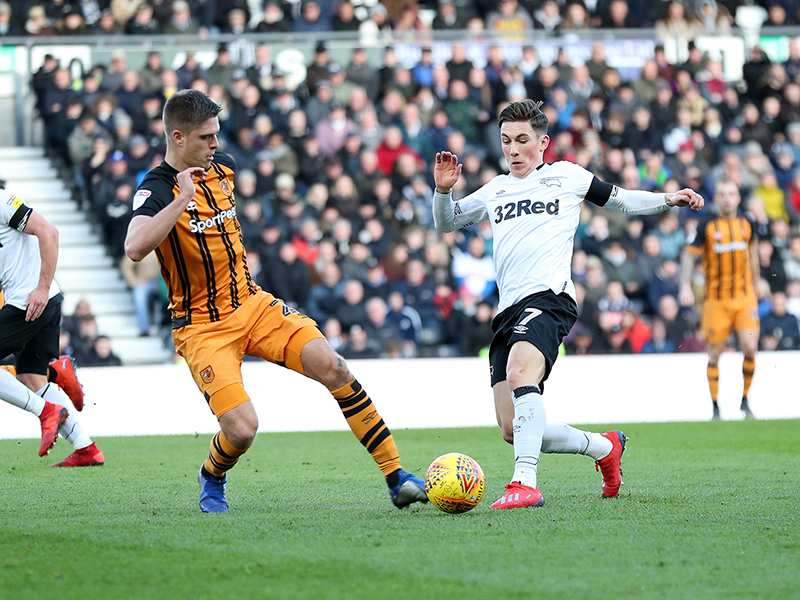 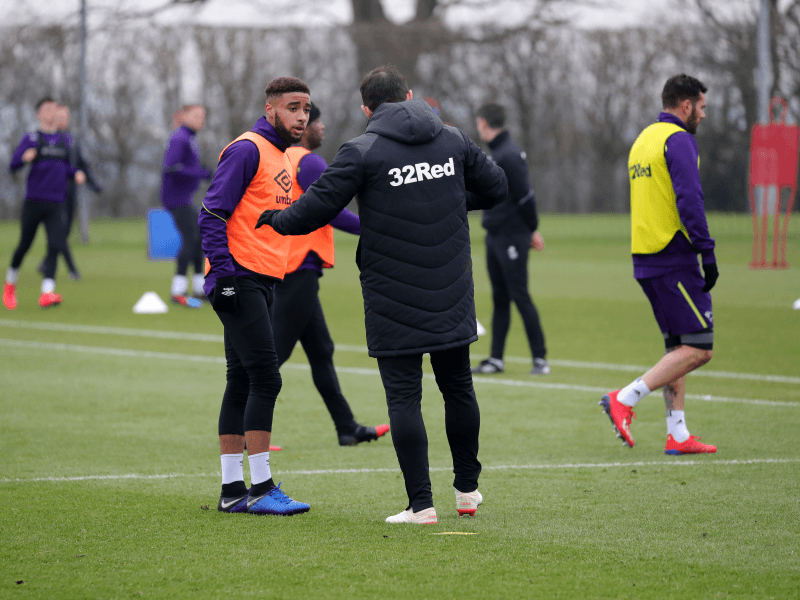 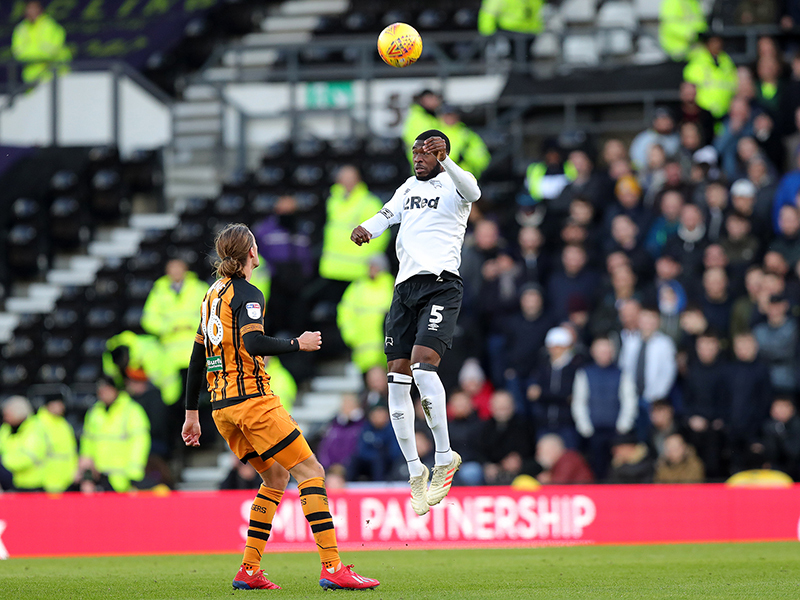 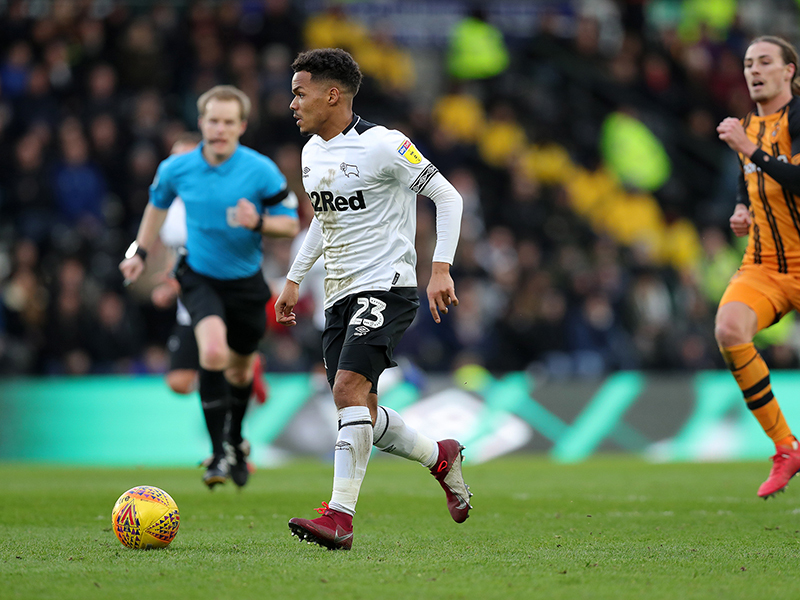 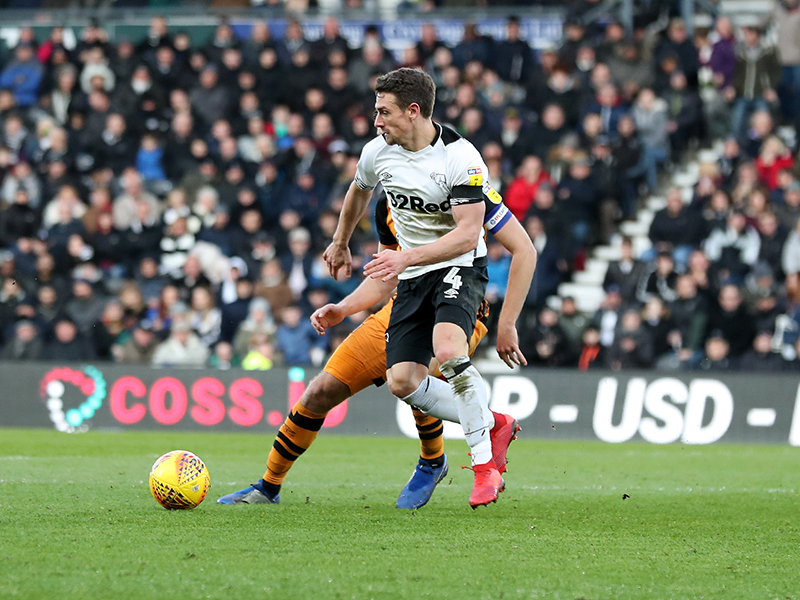 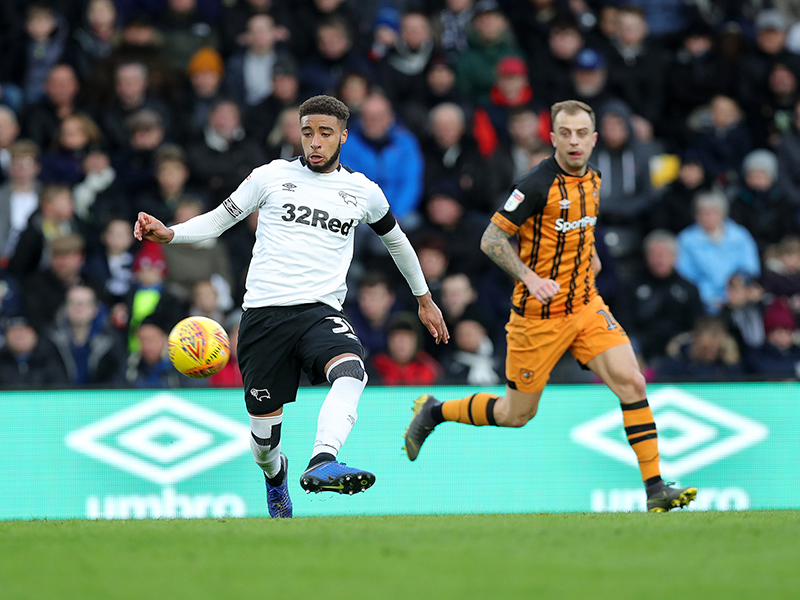 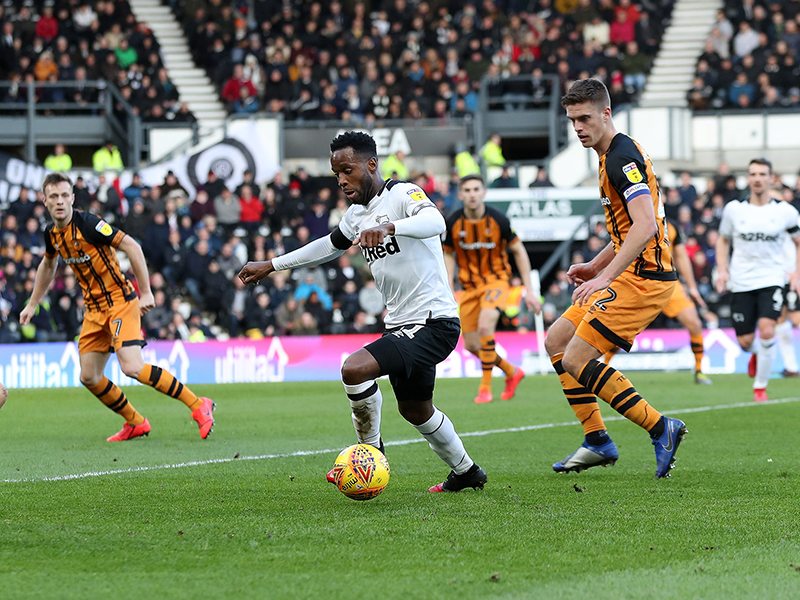 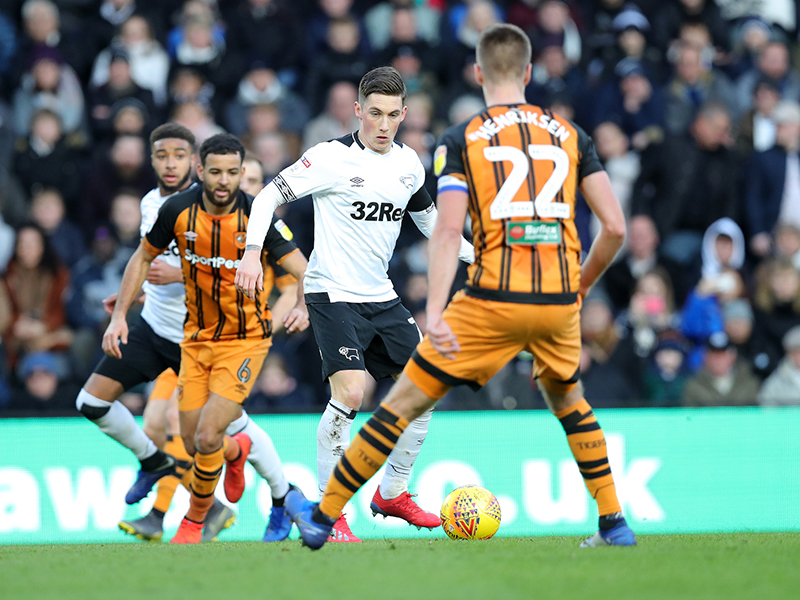 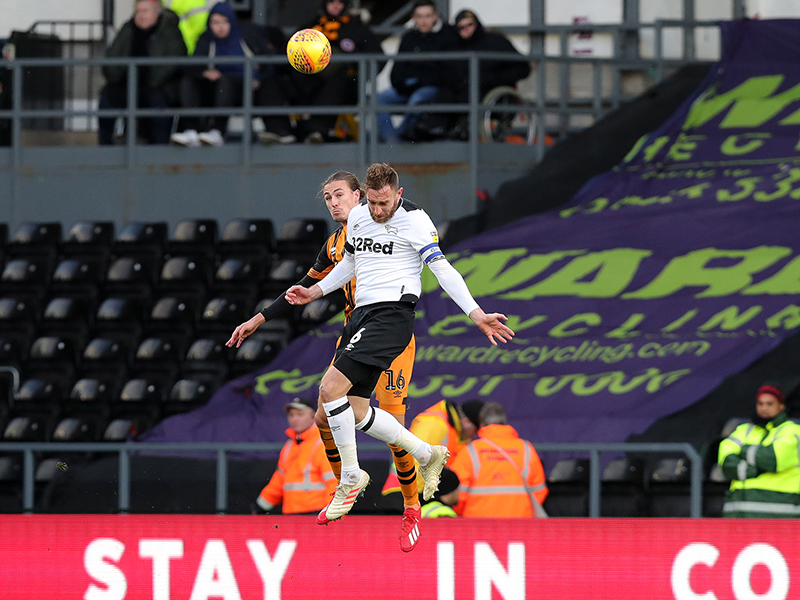 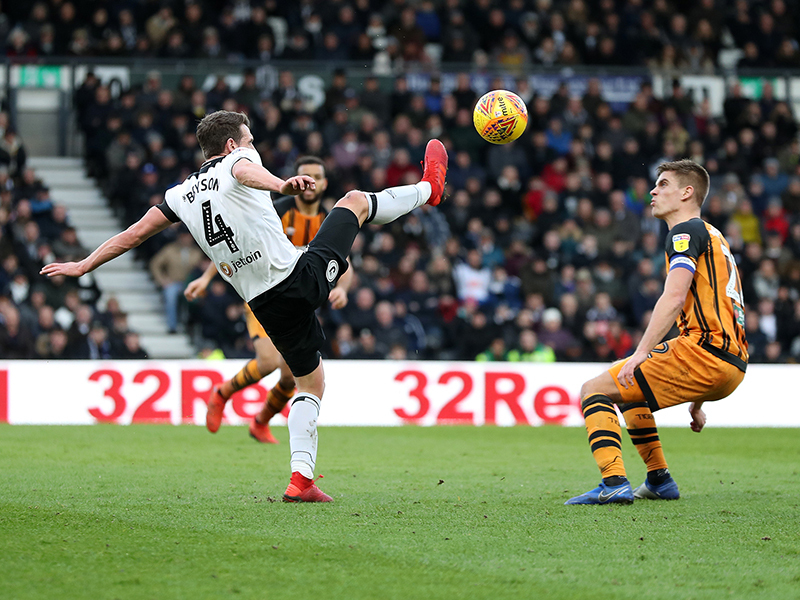 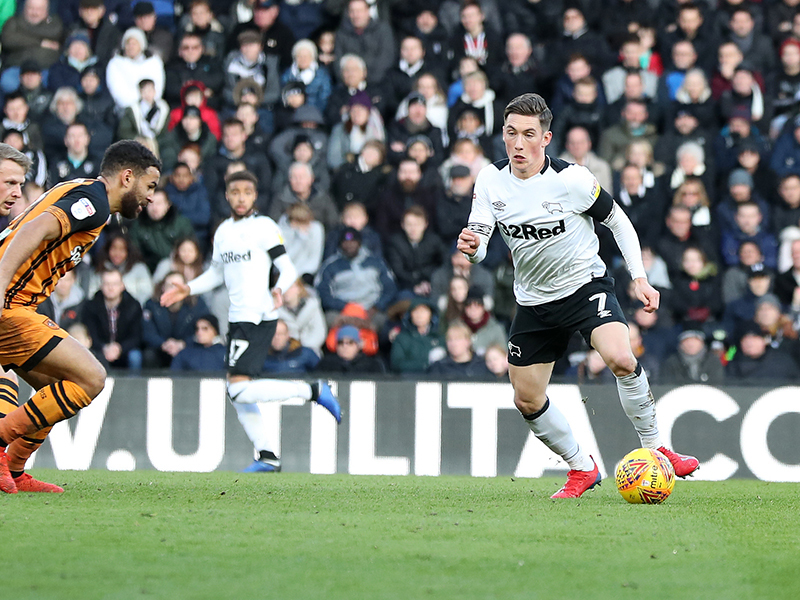 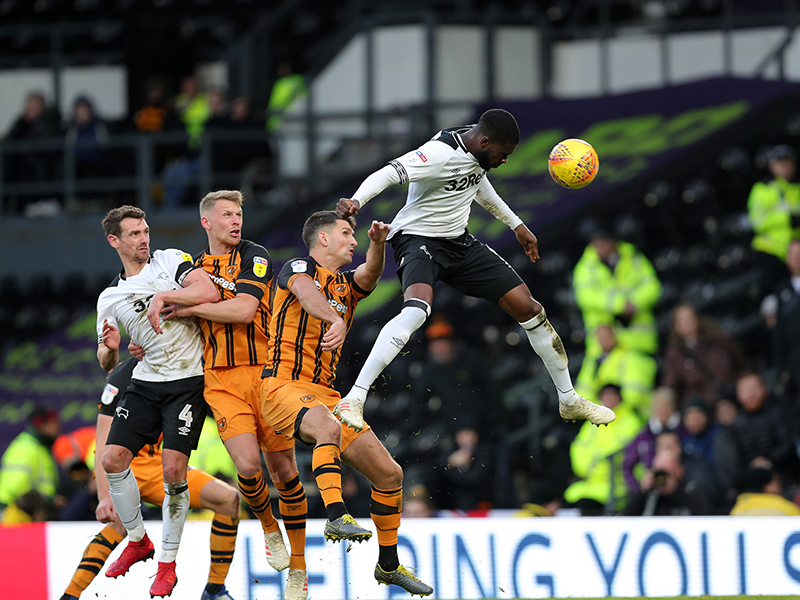 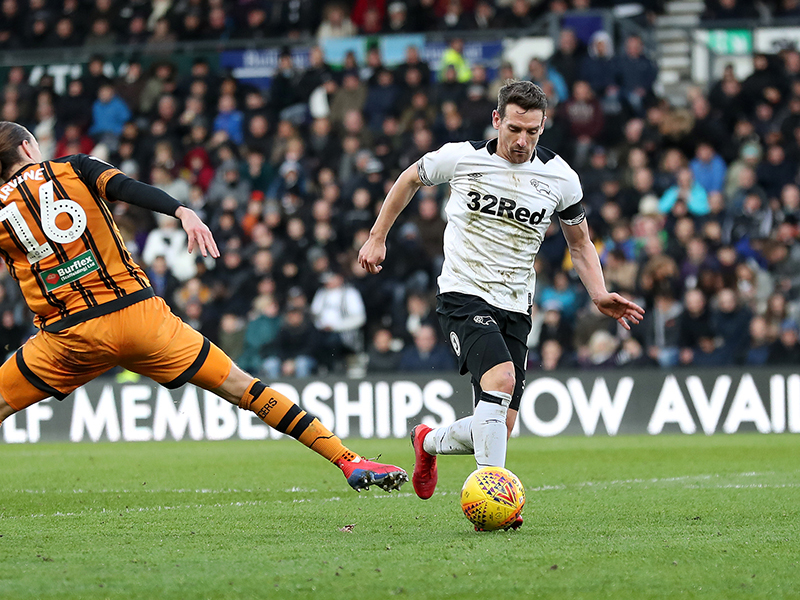 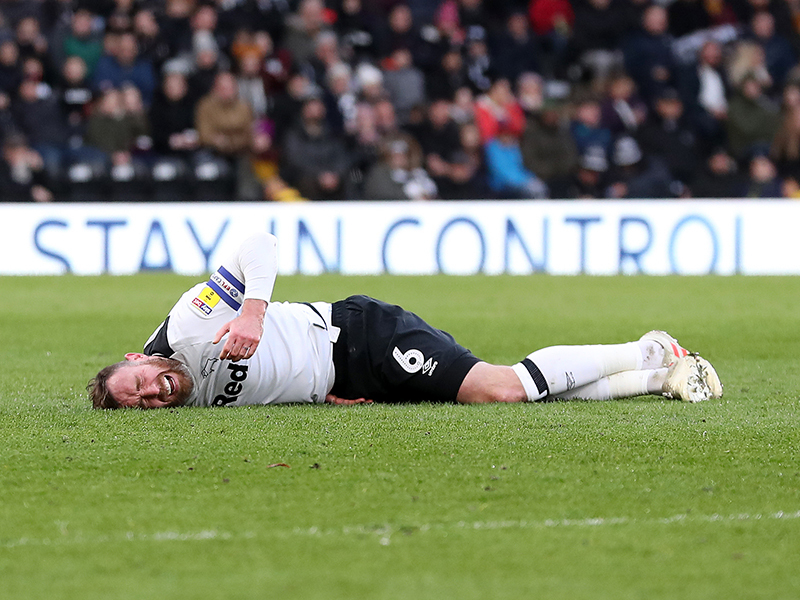 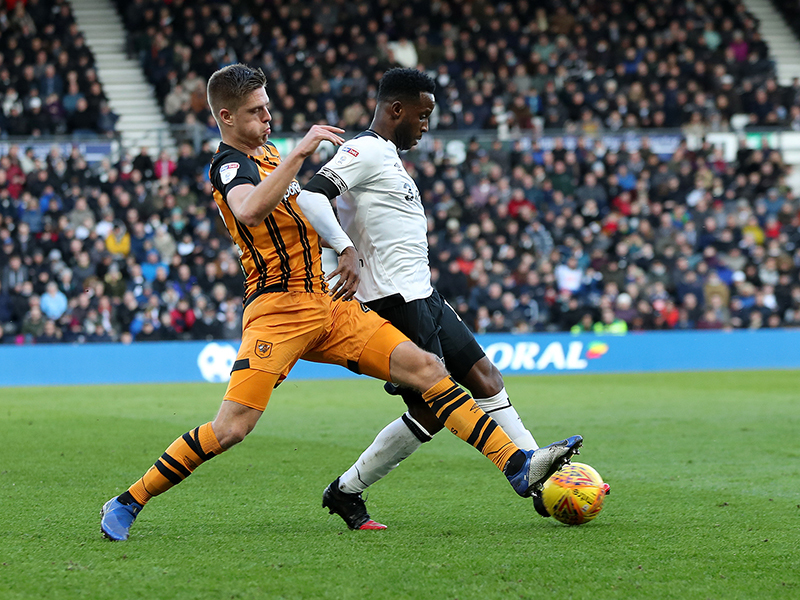 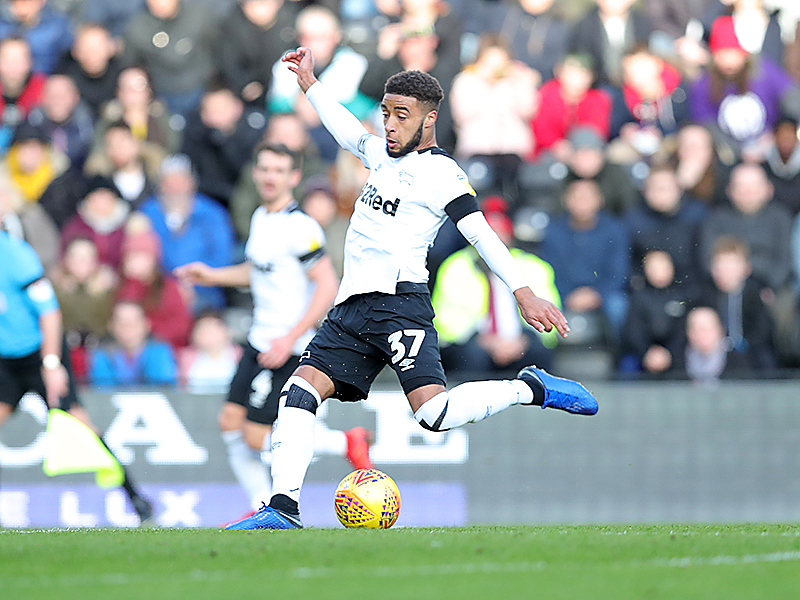 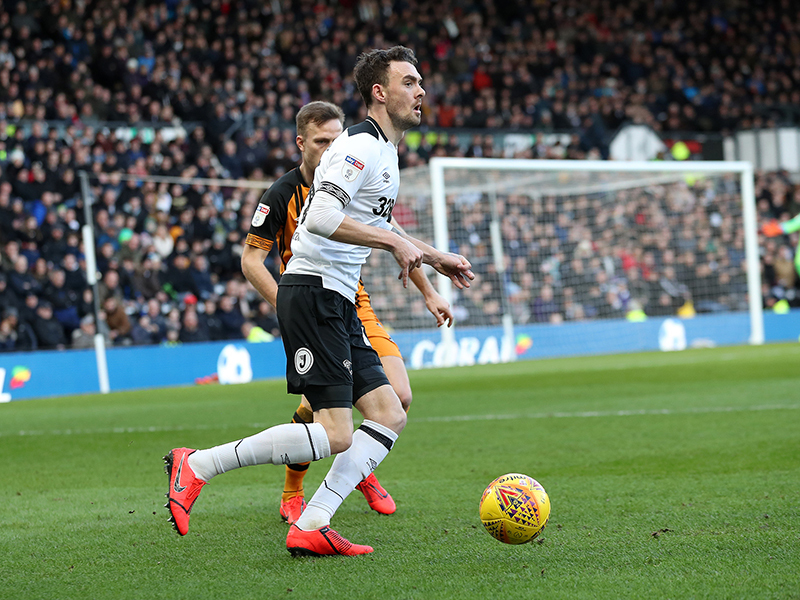 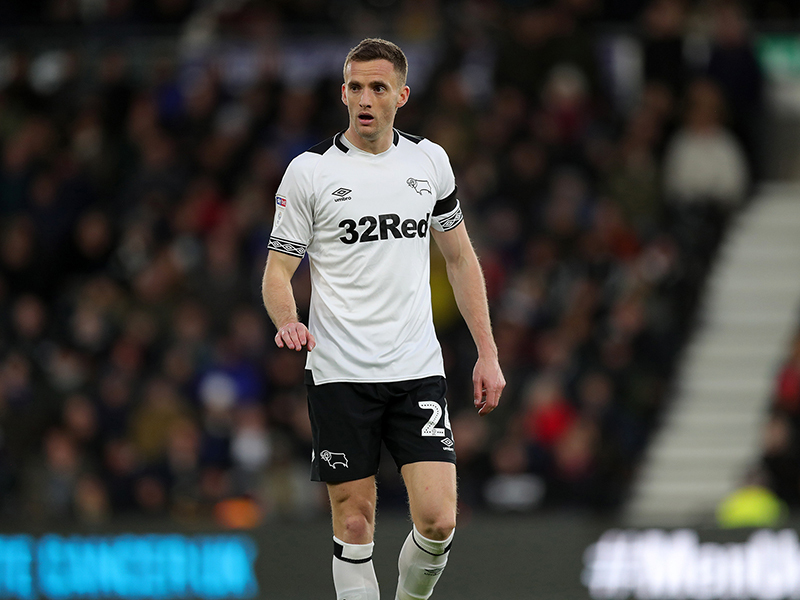 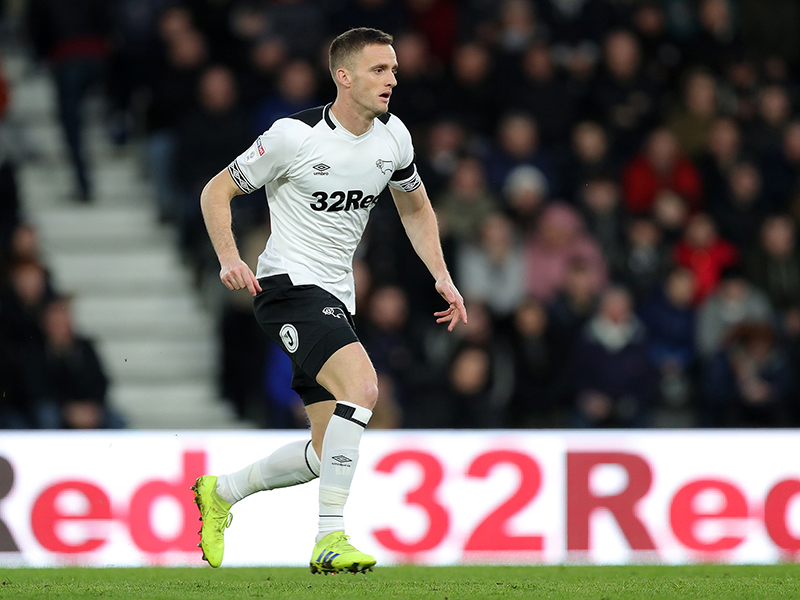 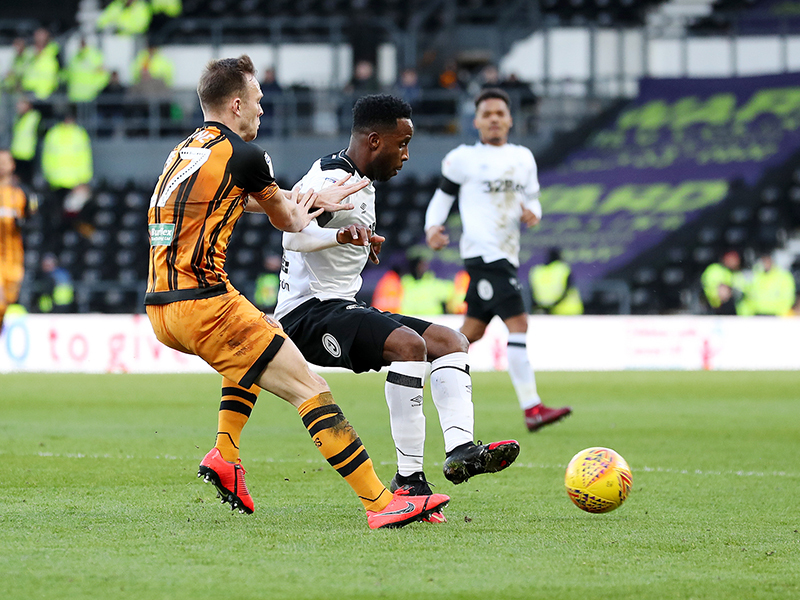 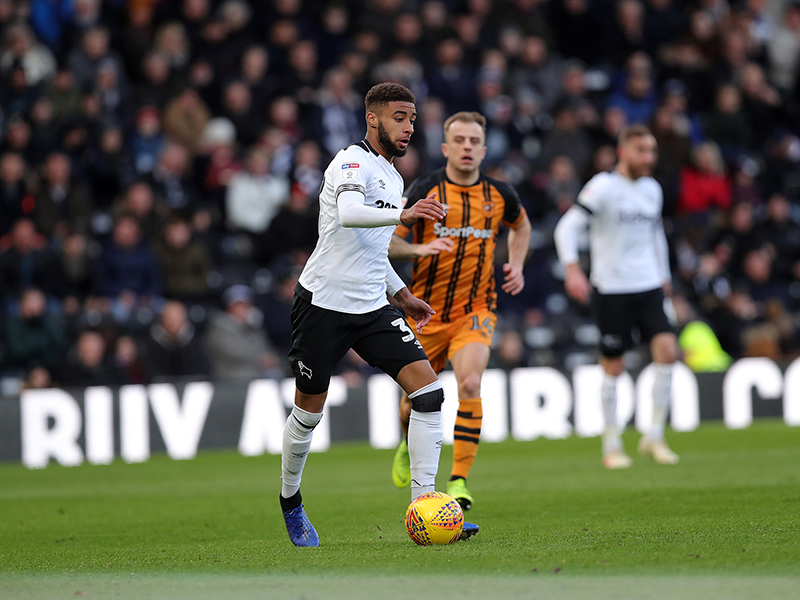 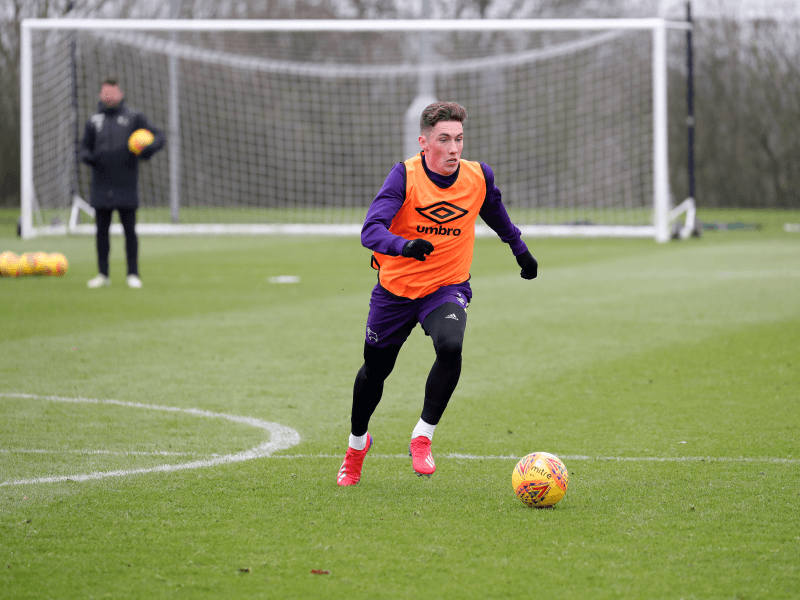 It was a landmark day for the Rams’ forward in Derby’s first outing at Pride Park Stadium since the middle of January with his first goal of the afternoon, just before half-time, the 100th of his career. 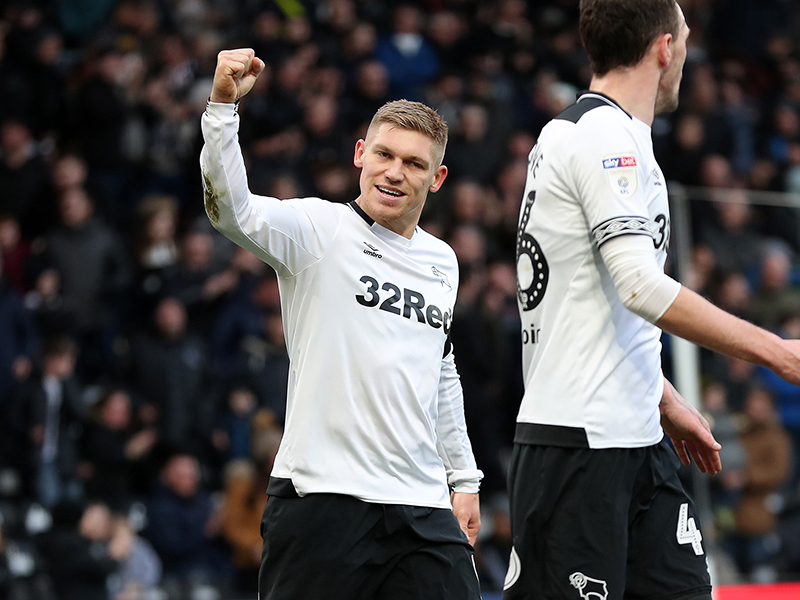 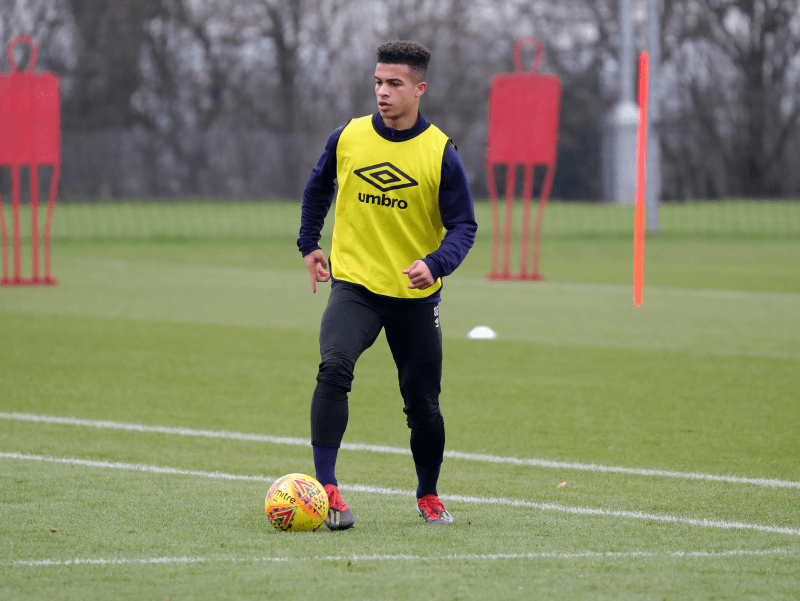 Young fullback Jayden Bogle’s set Waghorn up for his second and eighth Rams goal of the season and the young defender's second assist of his debut campaign. 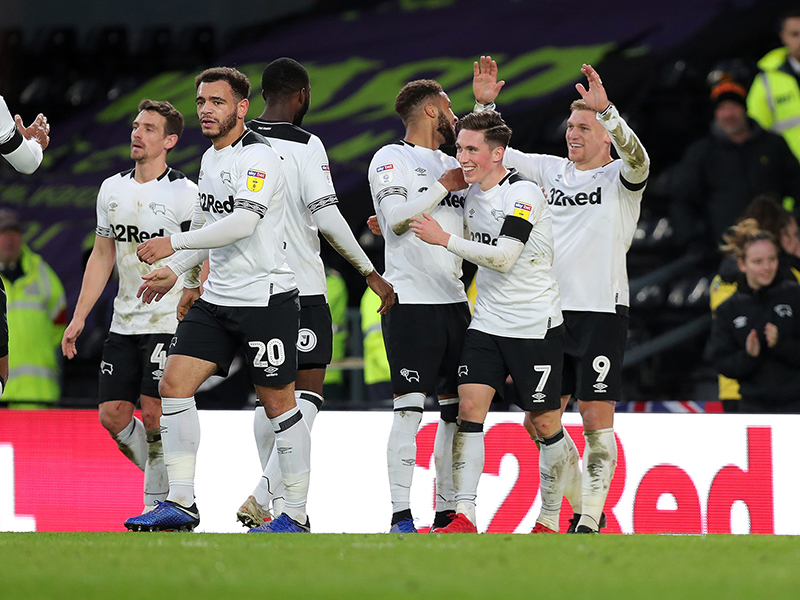 The victory was the third for the Rams over the Tigers this season, coming in both Sky Bet Championship fixtures and the Carabao Cup with Waghorn finding the back of the net in each game. 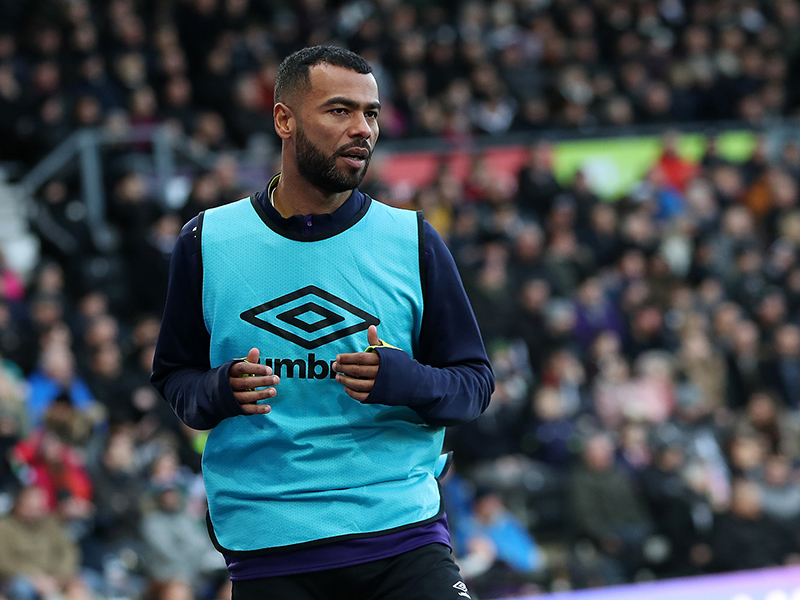 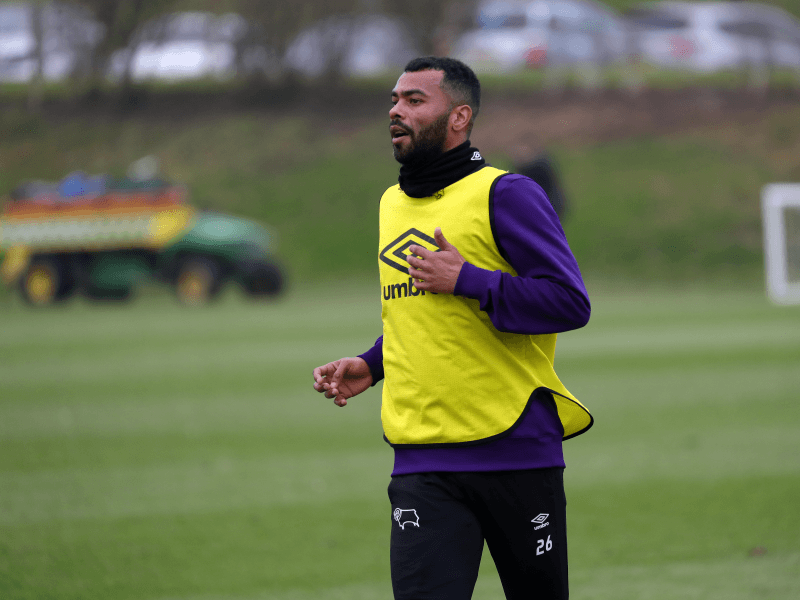 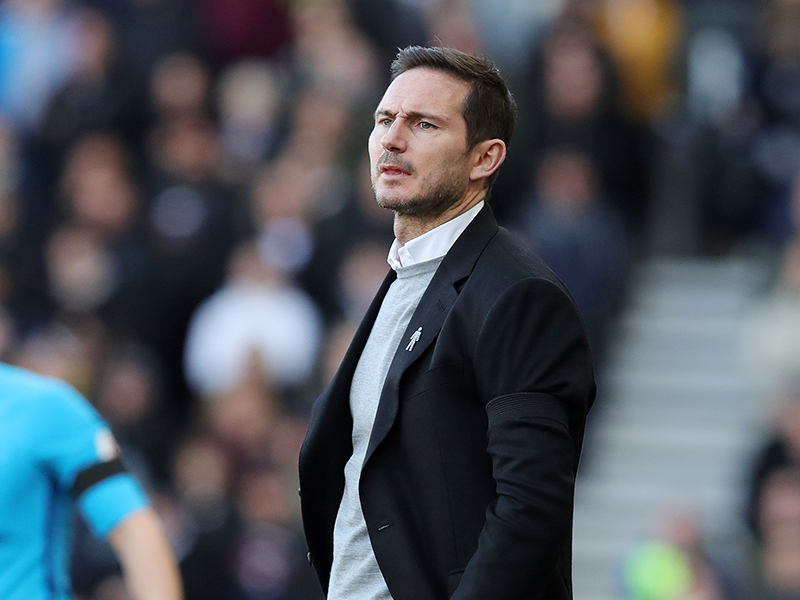 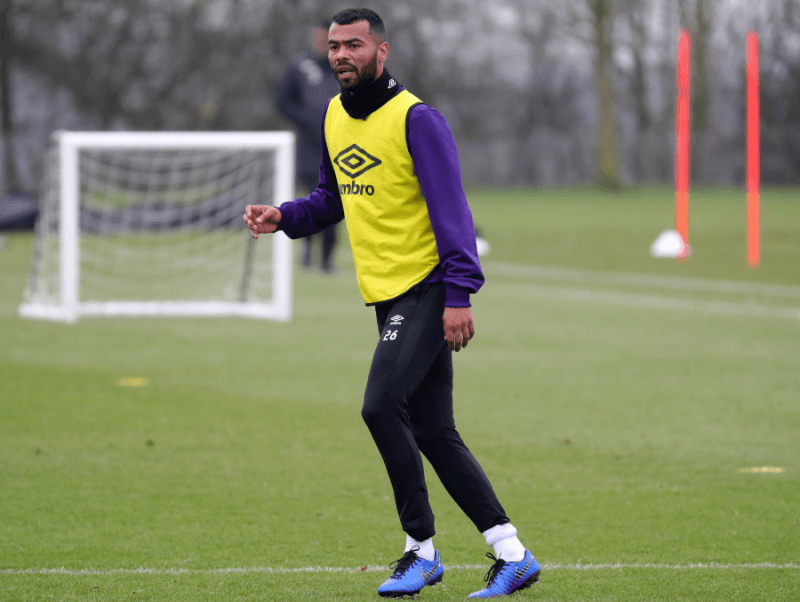 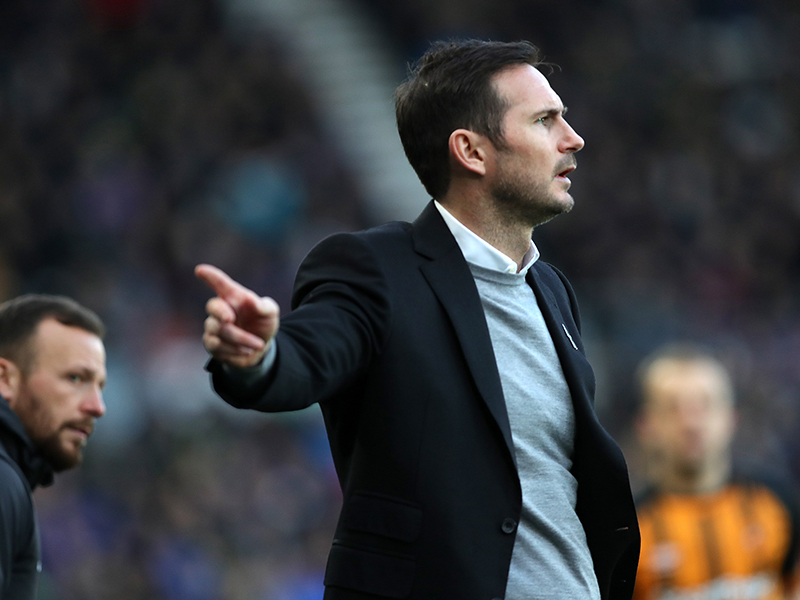 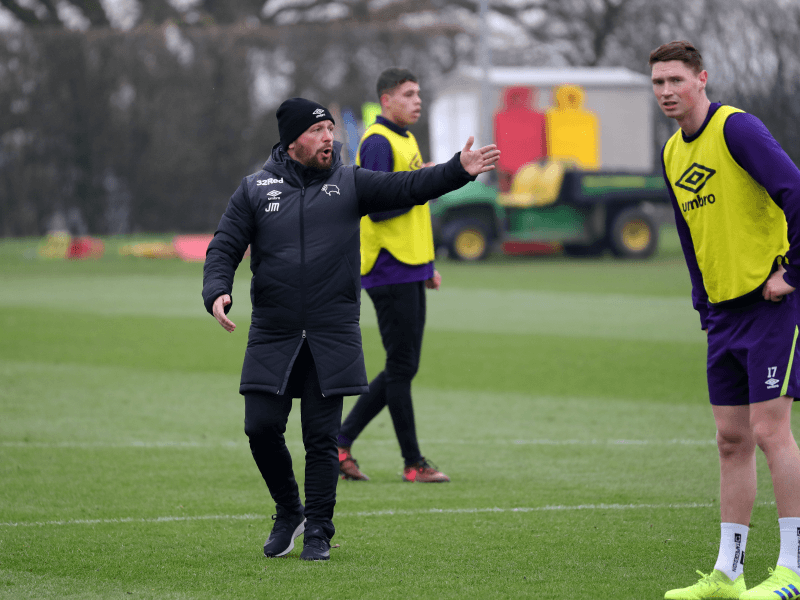 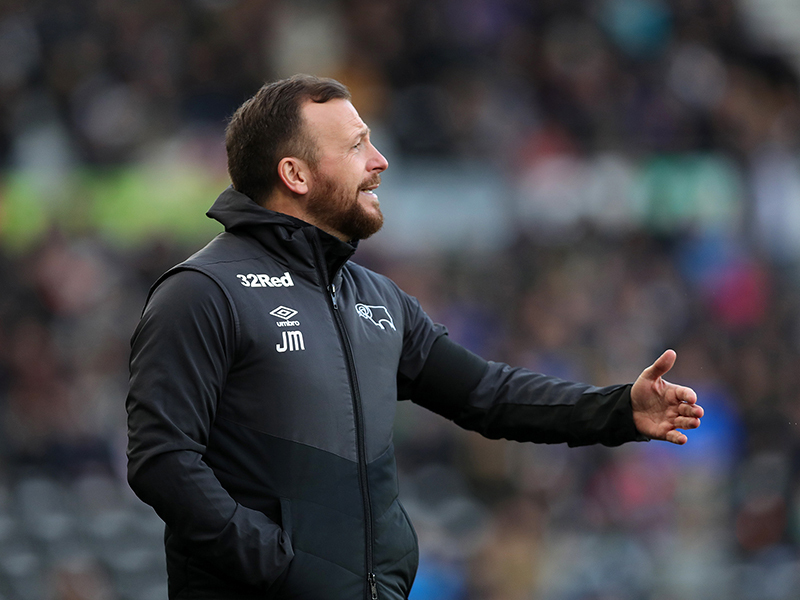 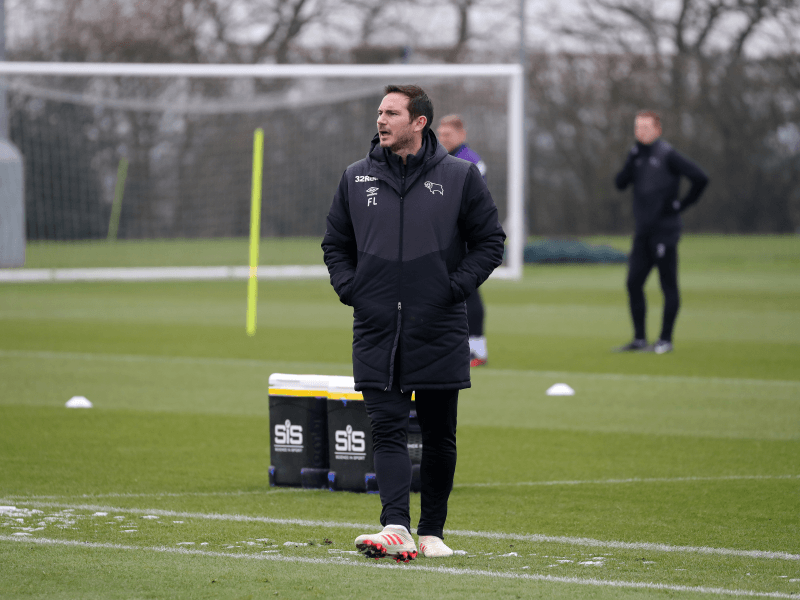 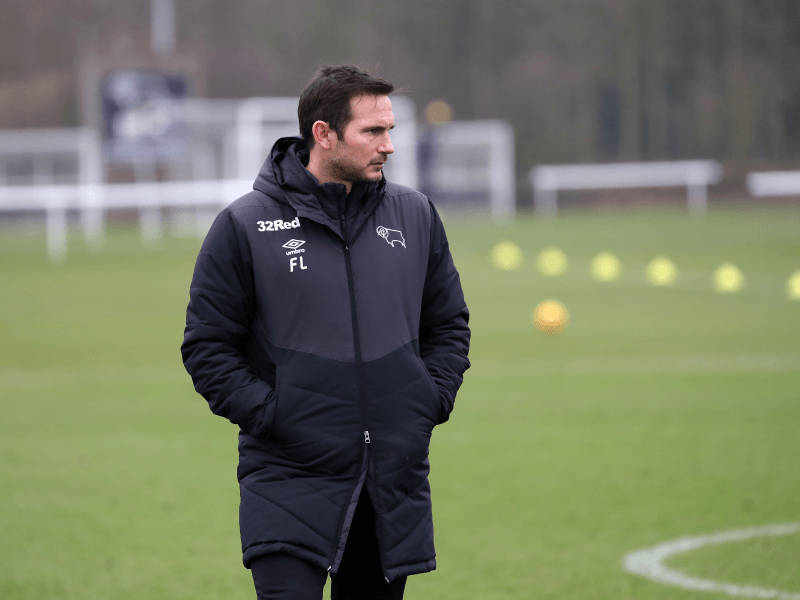 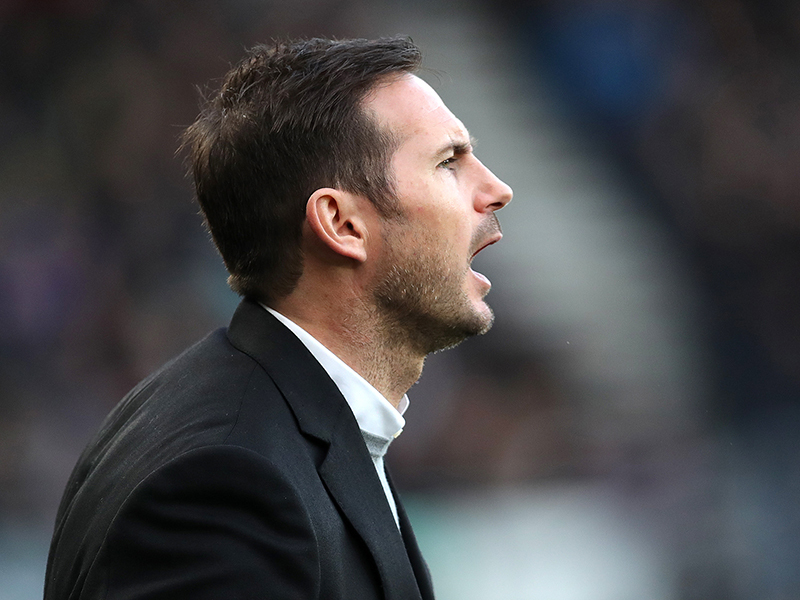 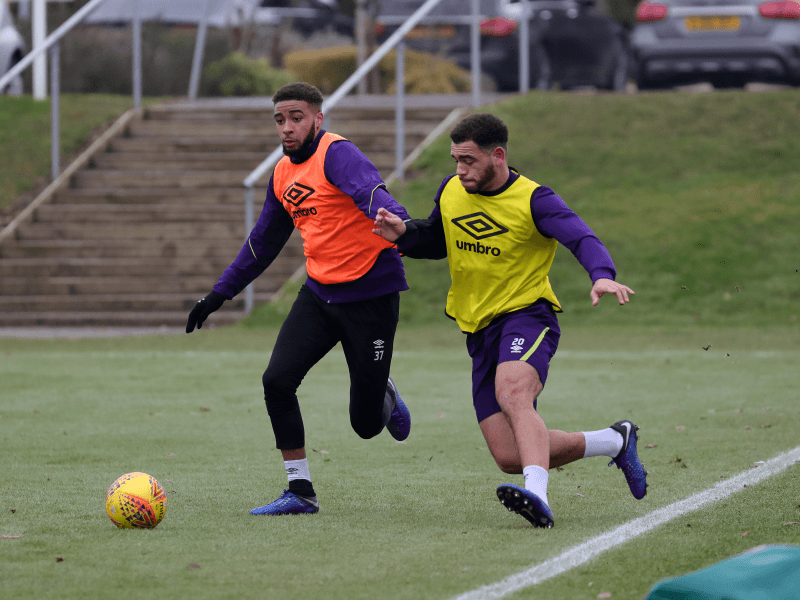 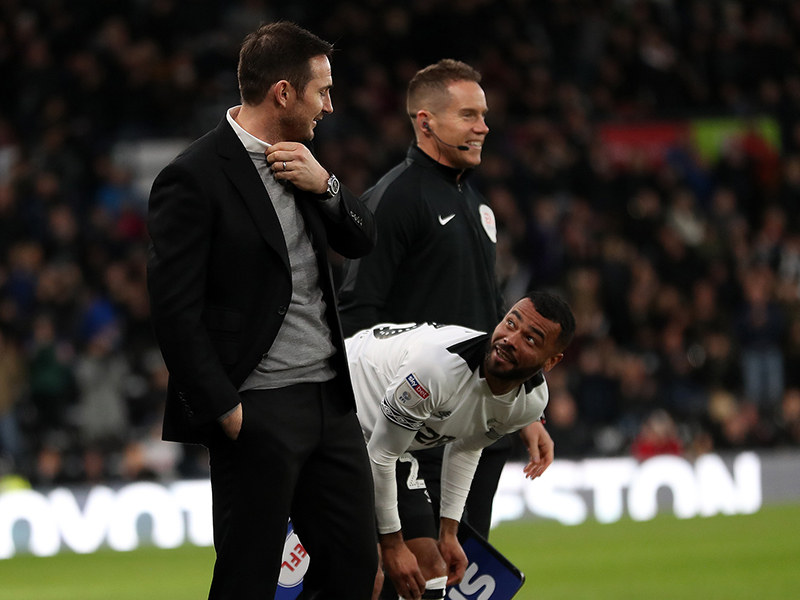 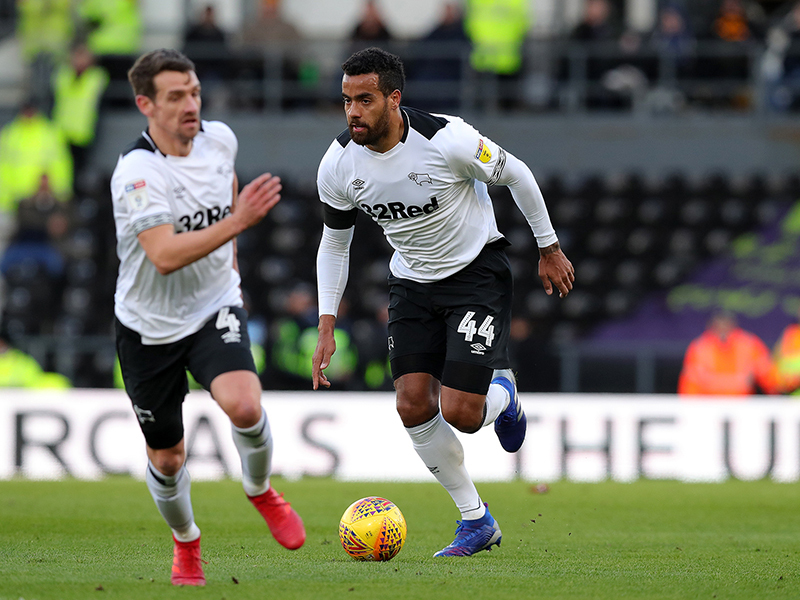 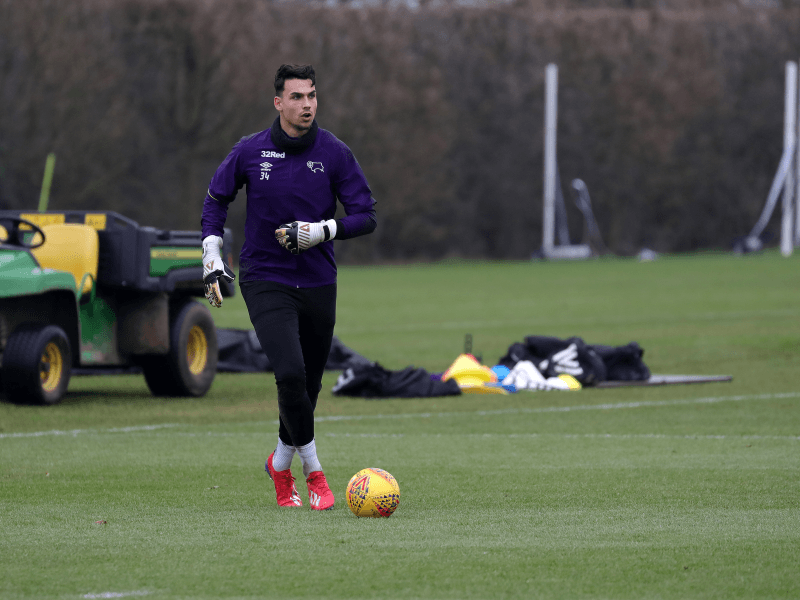 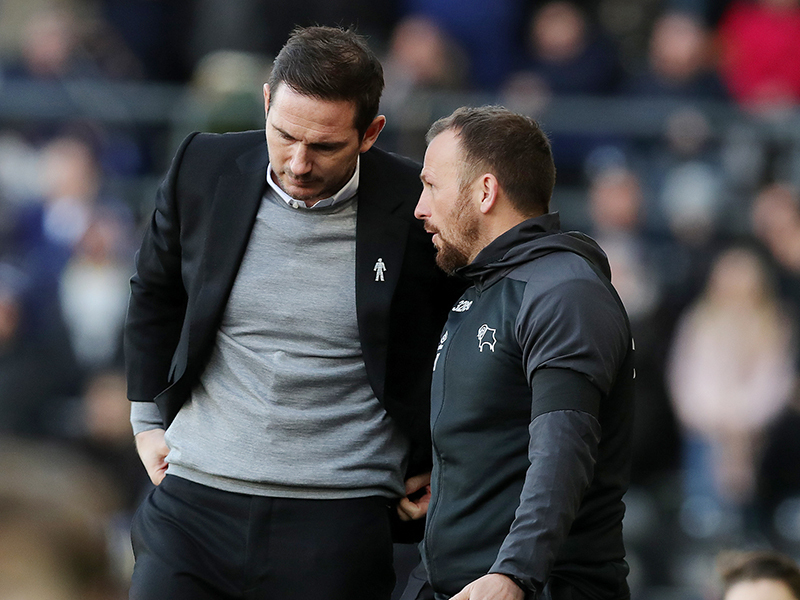 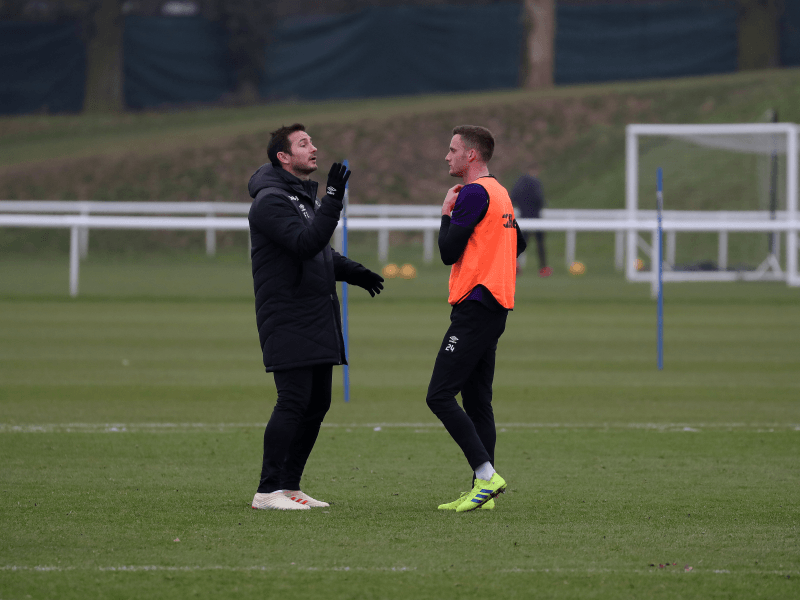 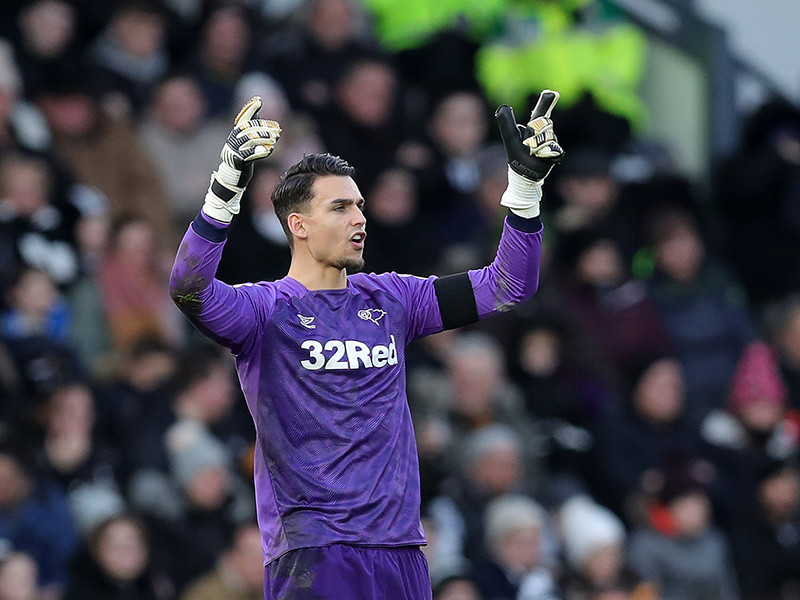 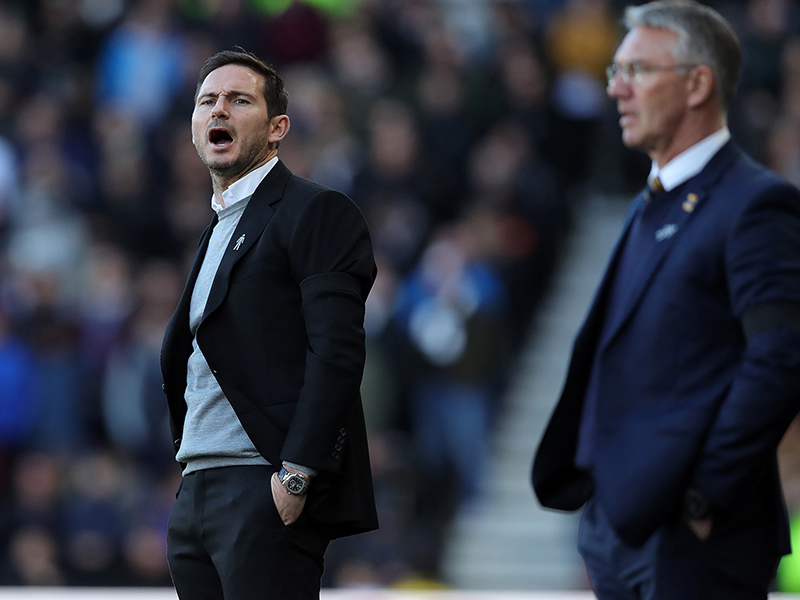 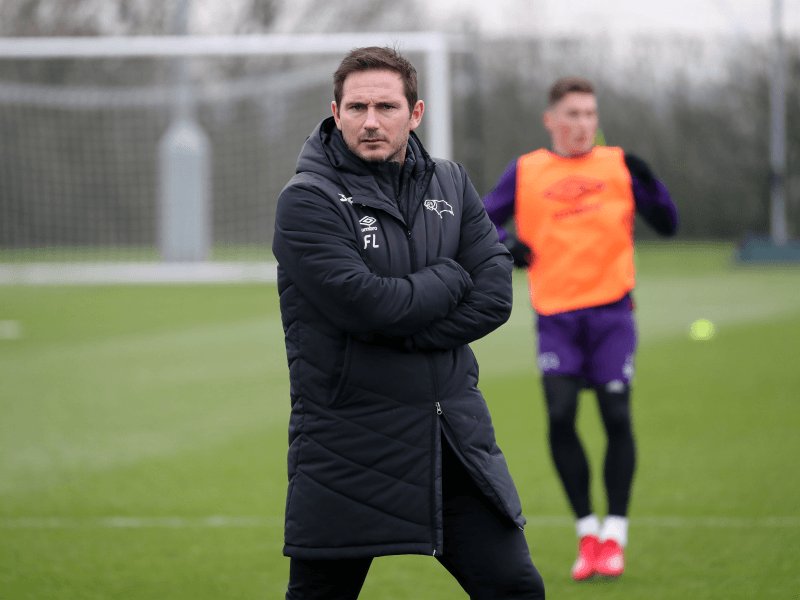 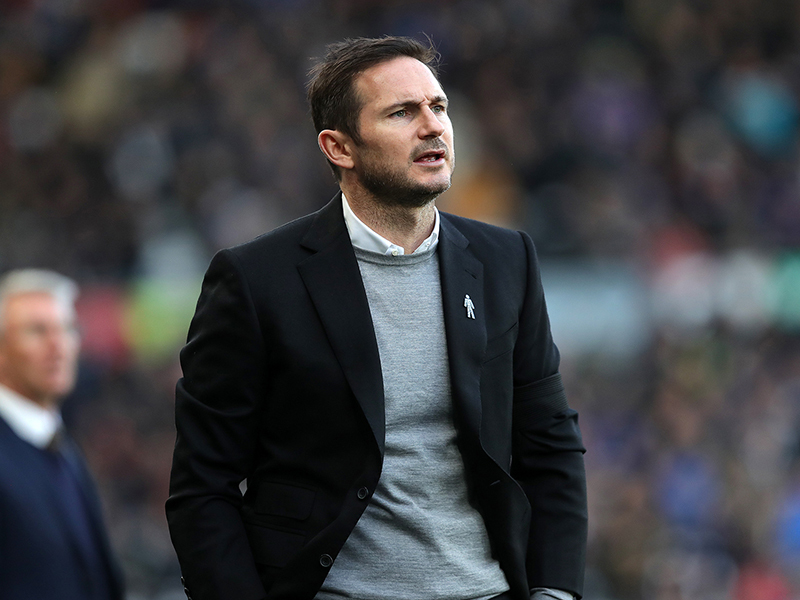 In Derby’s third consecutive clean sheet with Kelle Roos between the sticks, Derby fans got their first look at January signings Andy King and Ashley Cole who came of the bench to make their club debuts. 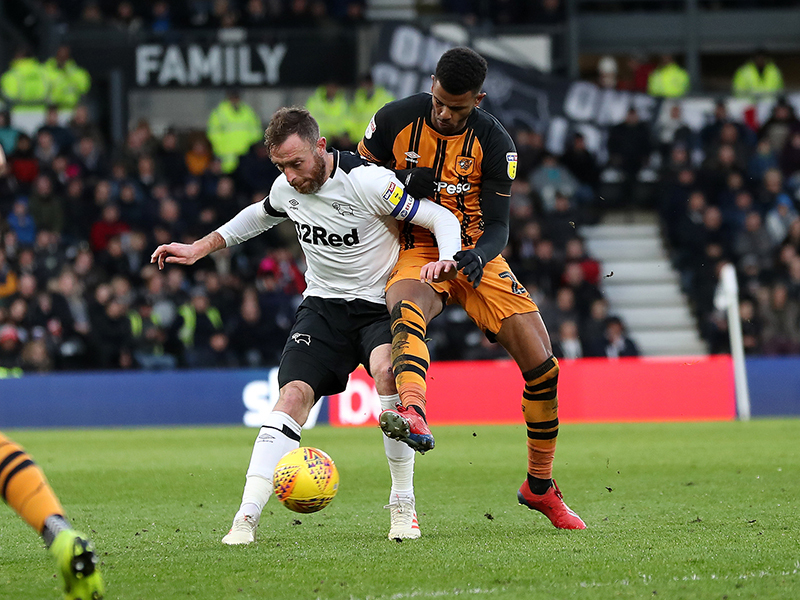 Both sides had decent chances to take the led inside the opening ten minute with the Rams up first. 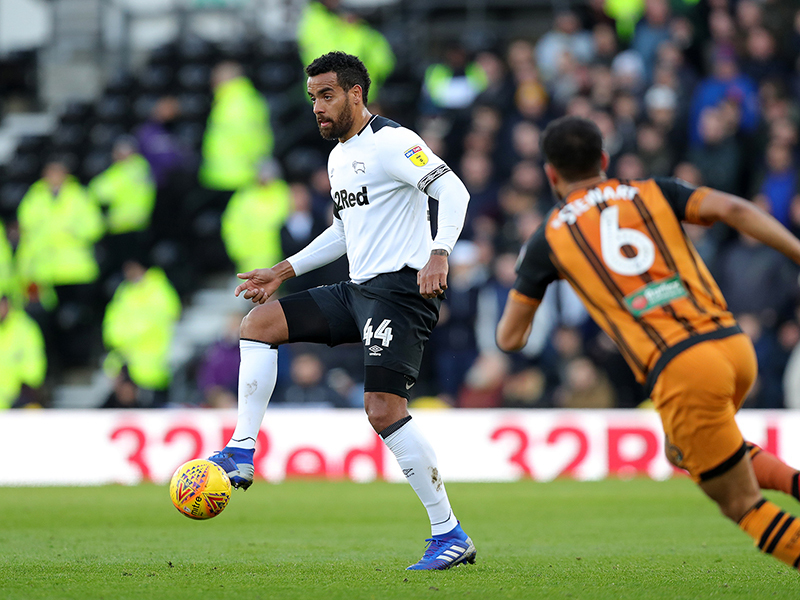 With Derby moving the ball well it landed to Tom Huddlestone who drove forward and fired from outside the box inches over. 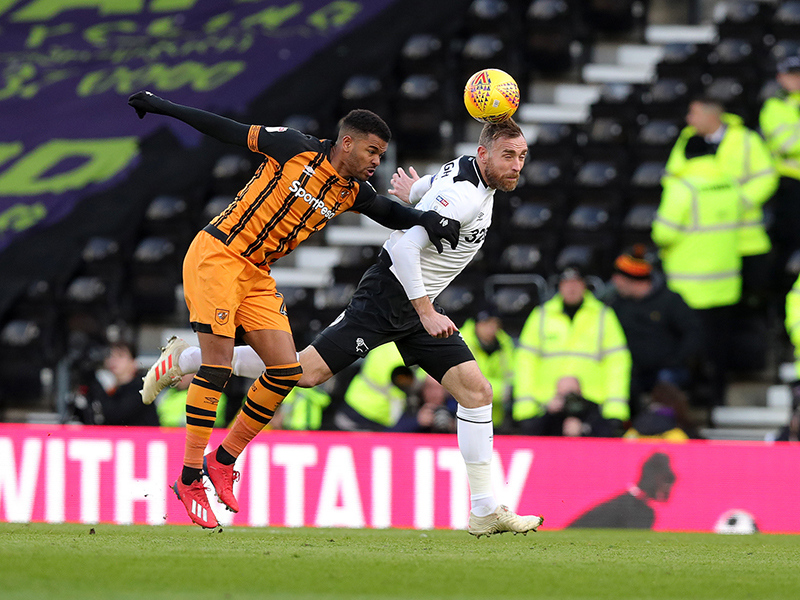 Minutes later, the Tigers worked out their best chance of the half when Frazier Campbell squared the ball to Kamil Grosicki but a missed opportunity saw him fire across goal and wide. 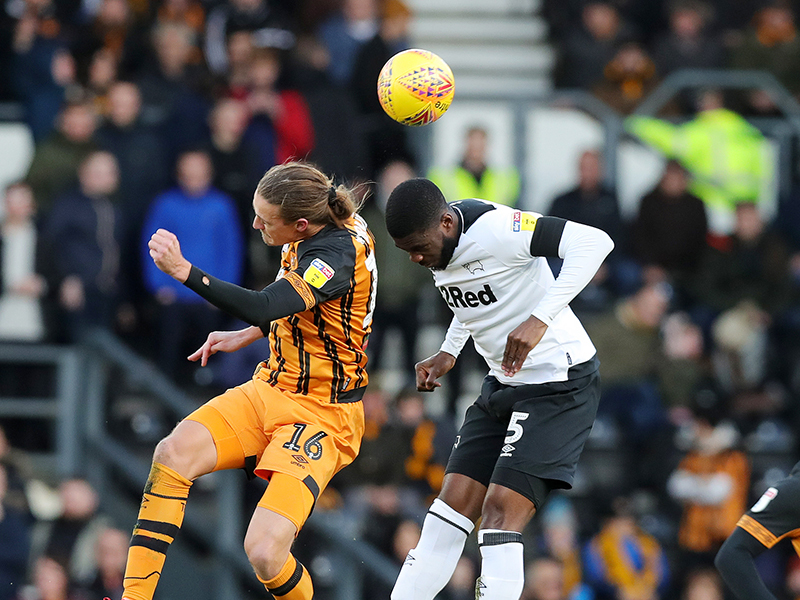 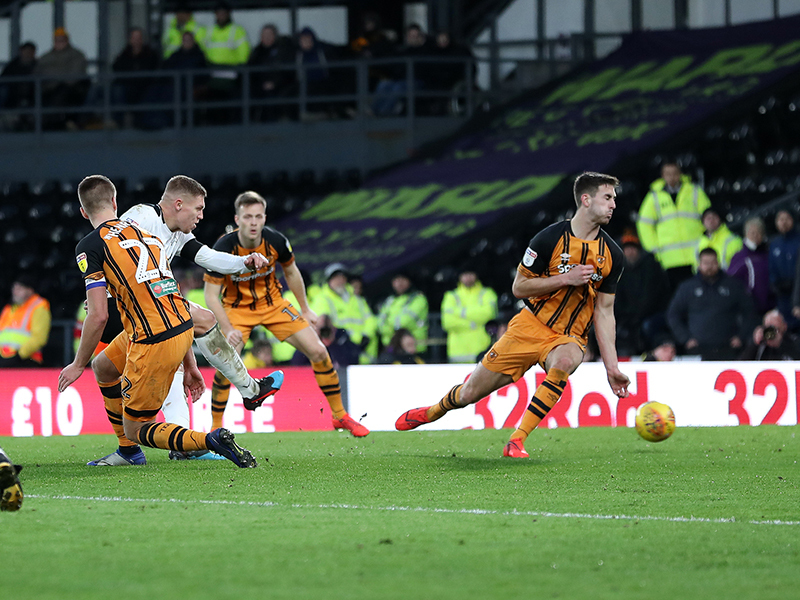 Fikayo Tomori was the first to call Hull ‘keeper David Marshall into action on 21 minutes when Harry Wilson’s deep free-kick flung towards Tomori at the back post to head in to the hands of the keeper. 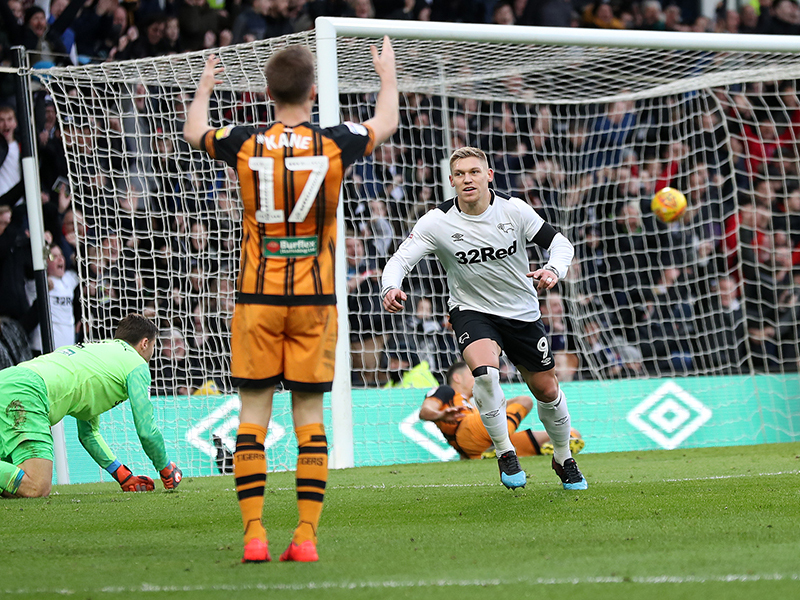 With less than five minutes remaining in the half, Waghorn broke the deadlock with a glorious finish to mark a century of goals and his seventh for the club. 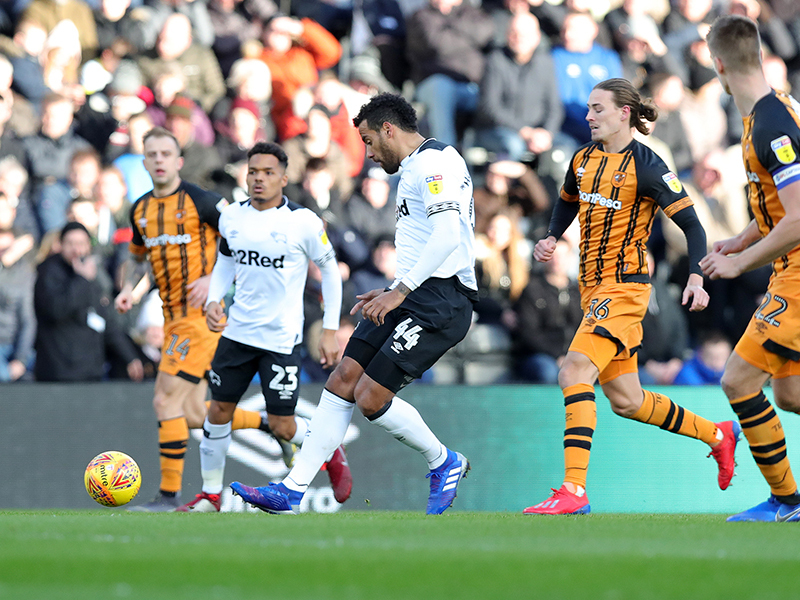 Duane Holmes sent the ball through the legs of his marker from the left flank to Waghorn in front of goal. 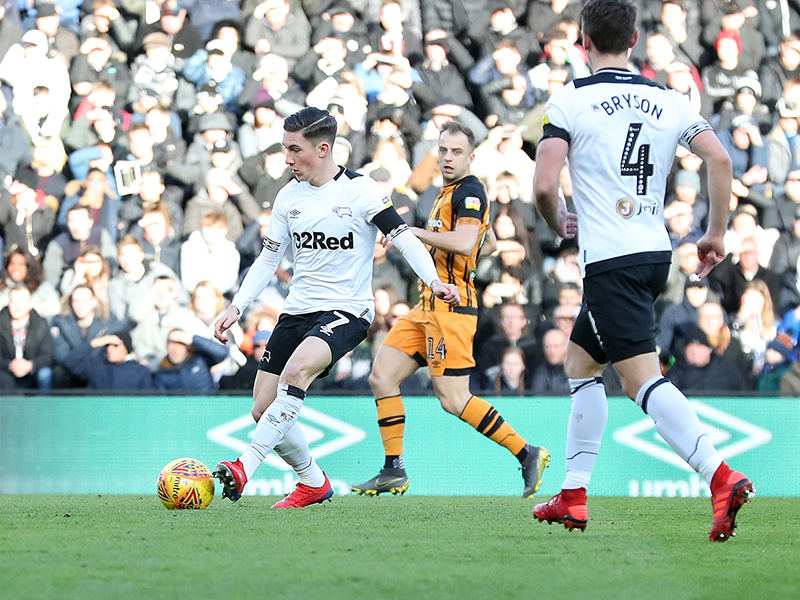 His first effort was batted away by Marshall, but the Rams forward met the deflection for a stunning volley into the right corner. 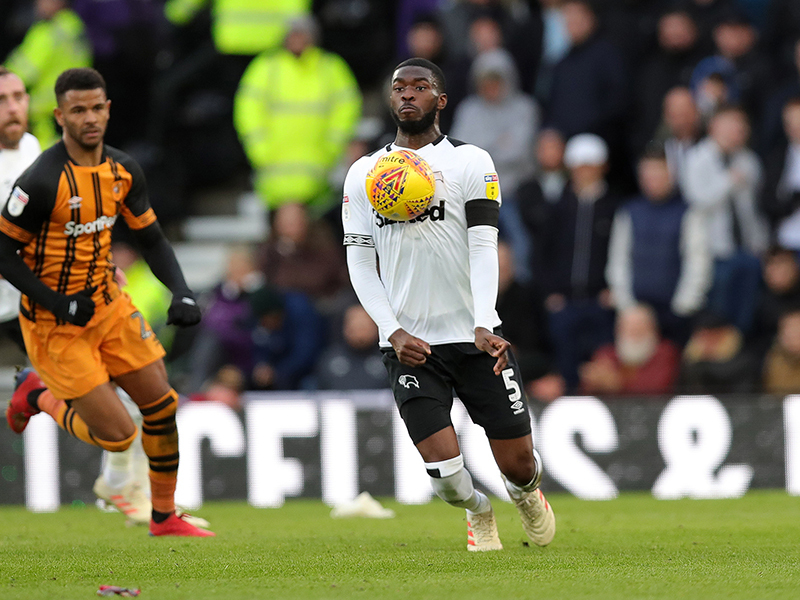 Tomori had another great look at goal to start the second-half and again Wilson provided him the chance. 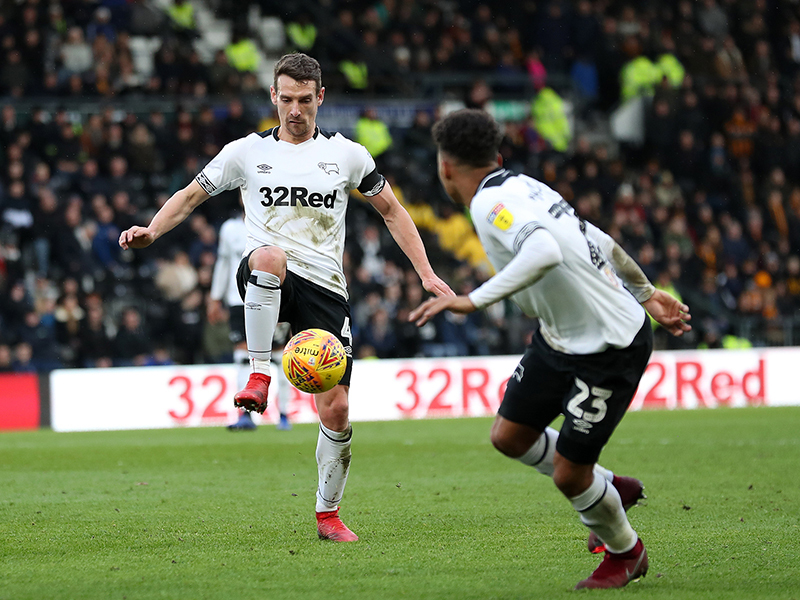 The defender rushed forward in the box to meet the Welshman’s corner and directed a powerful header just wide. 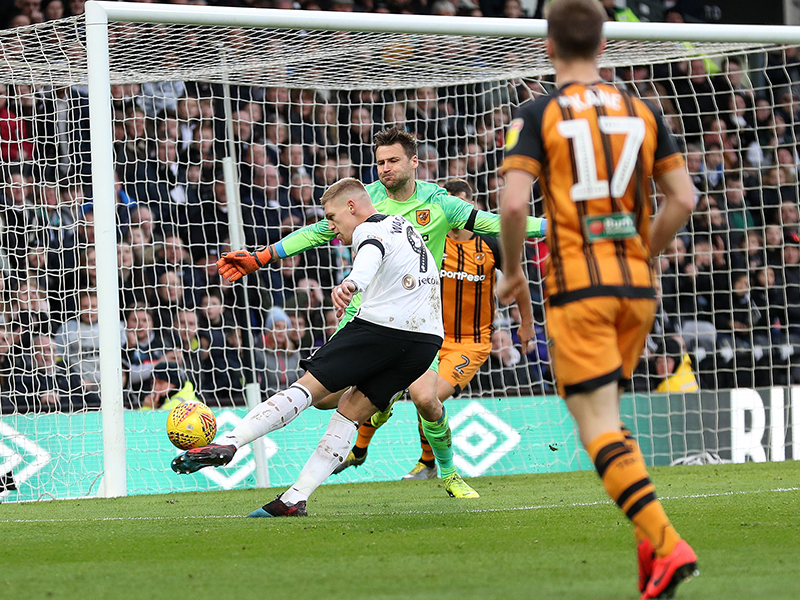 With 20 minutes to go, Waghorn put the game out of reach for the Tigers and it was some phenomenal work by teenager Jayden Bogle to set him up for his second of the game. 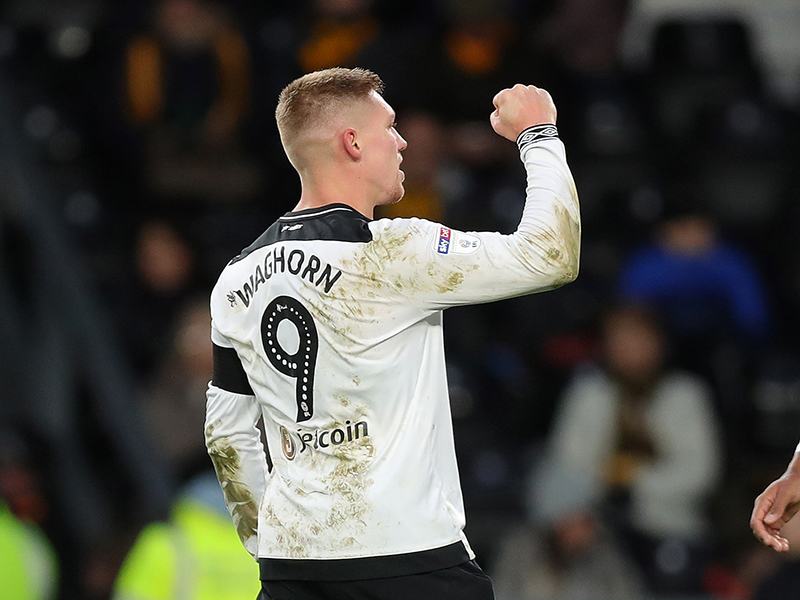 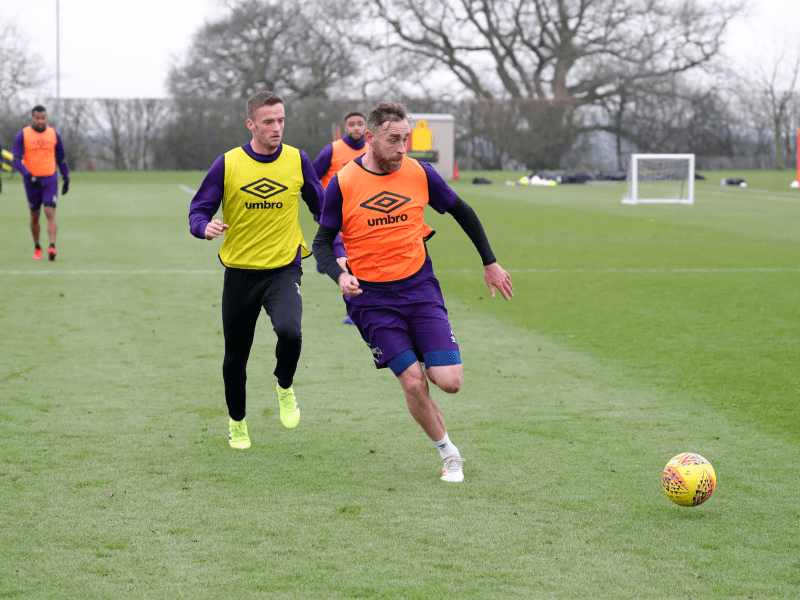 The full-back pressured the Tigers’ defender into the right corner before stripping him of the ball and his pinpoint pass found Waghorn for the clinical right footed shot past Marshall. 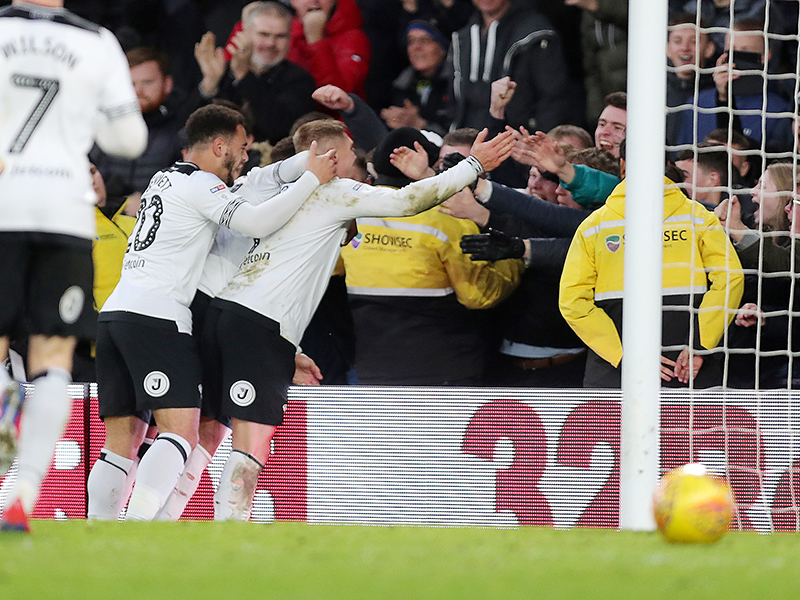 Waghorn looked to make it hat-trick five minutes later when Scott Malone broke down the middle and fed out wide to him, but this time his first-time effort was saved by Marshall. 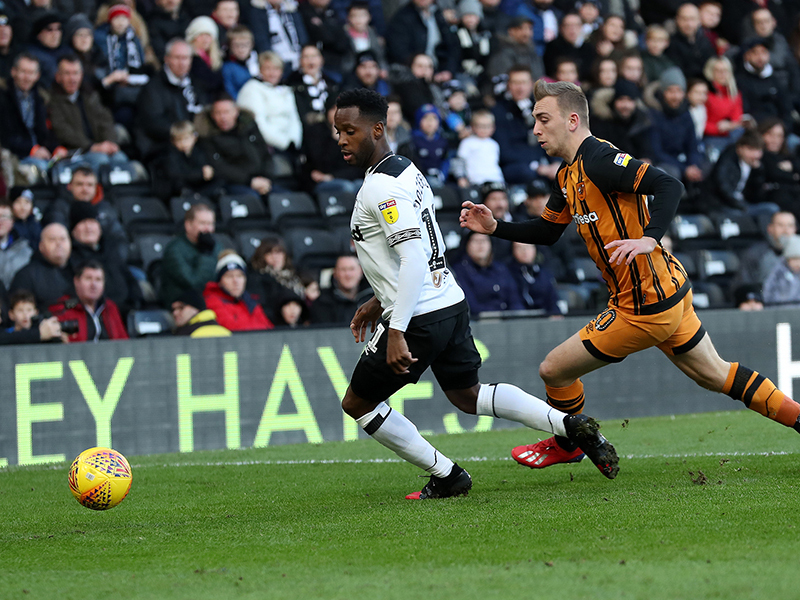 Tomori had one more go in the closing minutes but his shot from close range was saved by Marshall, but the Rams had done enough to secure their third victory over Hull this season.